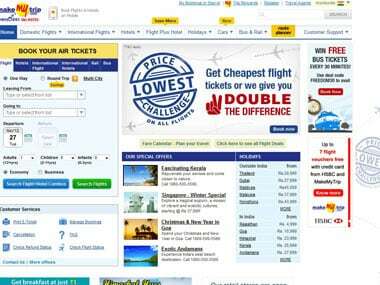 New Delhi: Online travel firm MakeMyTrip will acquire rival ibibo in an equity deal that will create one of the leading travel groups in India. 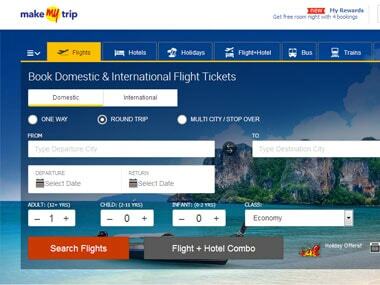 South Africa's Naspers and China's Tencent Holdings are selling ibibo Group to MakeMyTrip in exchange for an issuance of new shares by MakeMyTrip, the company said in a statement. MakeMyTrip went public on NASDAQ in 2010. Upon closing of the transaction, MakeMyTrip will own 100 percent of ibibo Group. Naspers and Tencent will become the single largest shareholder in MakeMyTrip, owning a 40 percent stake and will contribute proportionate working capital upon closing, it added. Additionally, prior to closing, a $180 million, 5-year convertible notes issued by MakeMyTrip to Ctrip.com International Ltd in January 2016 will also be converted into common equity, resulting in Ctrip having an approximately 10 percent stake in the combined entity, it added. The transaction is expected to close by the end of December 2016 and is subject to approval by MakeMyTrip shareholders and regulatory approvals. Commenting on the development, MakeMyTrip founder Deep Kalra said: "We expect this deal to create an even more scalable business with the expertise to transform the booking experience for Indian travellers. I am delighted to be leading such a strong team in our next chapter of high-growth in this dynamic industry." The combination will bring together a bouquet of consumer travel brands, including MakeMyTrip, goibibo, redBus, Ryde and Rightstay, which together processed 34.1 mm transactions during FY2016. MakeMyTrip said in a statement. "India is a key market for Naspers and this deal reinforces our commitment to the country. ibibo and MakeMyTrip have built leading companies through their innovative use of technology to create exceptional experiences for people traveling throughout India and, increasingly, beyond," Naspers CEO Bob van Dijk said. Following the closing of the proposed transaction, MakeMyTrip founder Deep Kalra will remain Group CEO and Executive Chairman of the company and co-founder Rajesh Magow will continue to remain CEO India of MakeMyTrip, it added. Founder and CEO of ibibo Group, Ashish Kashyap, will join MakeMyTrip's executive team as a co-founder and President of the organisation, MakeMyTrip said. in India," ibibo Group CEO Ashish Kashyap said.